Can you name someone who made a major positive impact in your life? Can you see yourself being that person for somebody else? In partnership with Goodwill Industries, B.L.E.S.S.E.D. Ministries, Inc. (BMI) is seeking mentors for its Adult One-to-One Mentoring Program, designed to assist formally incarcerated individuals who reside in the Essex County, New Jersey community by matching them with outstanding community leaders, known as Mentors. 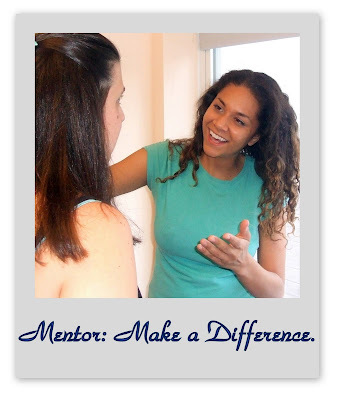 What is a mentor? A mentor is a trusted counselor and guide, who helps and directs another individual's development, knowing that a person who receives direction and encouragement has a greater chance of success. - Winning at the Workplace – Mentors encourage and guide mentees through the job search and placement process and/or provide guidance as they seek to grow on their job. - Rebuilding at Home – Mentors help advise mentees as they seek to rebuild family relationships that may have been lost during their incarceration. - Giving Back to the Community – Mentors provide mentees with encouragement and direction in helping to give back to society through various means such as volunteering or other positive community activities. The Ultimate Goal: Empower another individual with more than just a second chance; provide them with the ability to see the hope inside of themselves to succeed and remain successful in society. Submit your application via email to contact@blessedministriesinc.org or fax to 877-516-2536. *Mentors must be 21 yrs or older and able to commit to contact with Mentee one hour a week via phone or in person or for a minimum of 4 hours per month for 6 months. The commitment to help someone become better than yourself is a true meaning of giving.